Professional teeth whitening it the quickest way to improve your smile. If you’re looking for professional teeth whitening in Burnaby, ACU Dental and Orthodontics is happy to assist you. Teeth are easily stained and yellowed just from our daily routines. Many things contribute to discolouration including coffee, tea, cigarettes, and wine. Yellow or stained teeth make us look older. One-hour professional Zoom! Whitening is the fastest way to get these stains out and return to your teeth’s natural colour. If you’re planning to have a smile makeover with additional cosmetic dental treatments, like crowns or veneers, consider teeth whitening as your first step. Beginning with teeth whitening ensures that your crowns or veneers will match the whitest shade of your remaining teeth. This type of smile makeover ensures that you get the bright, beautiful smile you’ve always wanted. 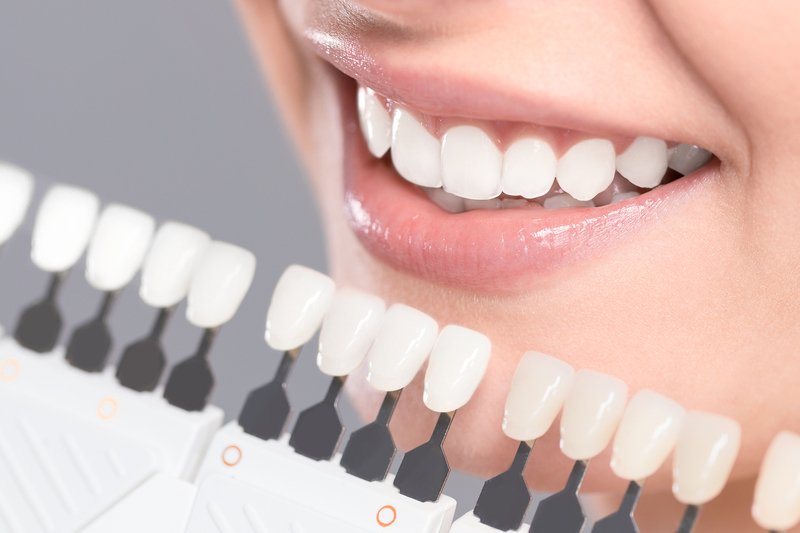 If your teeth have been ground down and discolored over time, whitening and custom veneers can give you the bright, youthful smile you’re looking for. If your smile is yellowing, crooked, or improperly sized, Zoom! Whitening and veneers can create a natural, even white smile. For more on teeth whitening or to schedule an appointment, contact ACU Dental and Orthodontics today.